It’s time to ditch your old membership card and free up some space in your wallet or purse. 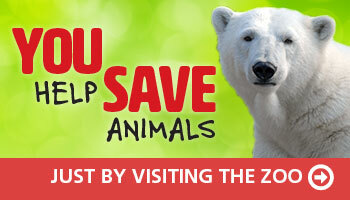 The Louisville Zoo Virtual Membership Card app is a FREE virtual membership card exclusive to Louisville Zoo members. Now you can carry a digital version of your card everywhere you go, conveniently on your iPhone or Android device! Additionally, the app will remind you when it’s time to renew your membership. A direct link provided in the app allows you to visit the Zoo website to check on current happenings, renew your membership on-line or just read more about your Louisville Zoo! 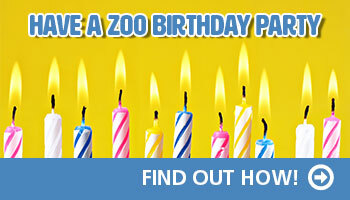 You must be a current Zoo member. You must have a verifiable e-mail in the primary member’s membership profile in our system. To accomplish these first steps, you can call us at 502-459-2287, stop in to the office or visit us online to purchase or renew a membership and update your profile. After downloading the app and inputting your information, the Home Screen will show as “unverified.” On your next visit to the Zoo, check in at the membership office to receive your verification code. Be sure to bring a Photo ID. If you have not yet had photos taken of the named adults on your membership, please have this done when you present your app for verification. Once verified, this app will allow you to store your virtual membership card on your mobile device; it will display a unique barcode that can be scanned at the Louisville Zoo to streamline entry and purchases. Apple IOS screens will look similar. Download the app to your screen and follow these instructions. 2. Once downloaded to your device, you must give the app permission to install on your device. 4. Once submitted, the app will look up your account. 6. Now that the app is installed on your phone AND linked to your Louisville Zoo membership, bring in your device to the Zoo’s membership office to receive your verification code. (You will need to bring with your photo I.D. at this time. 7. Once the verification code has been entered, the “UNVERIFIED” box (Screen #4) will be replaced with your new virtual membership card and barcode. This will allow you access to the Zoo on your next visit as well as performing all functions of your current card such as discounts on food and merchandise.